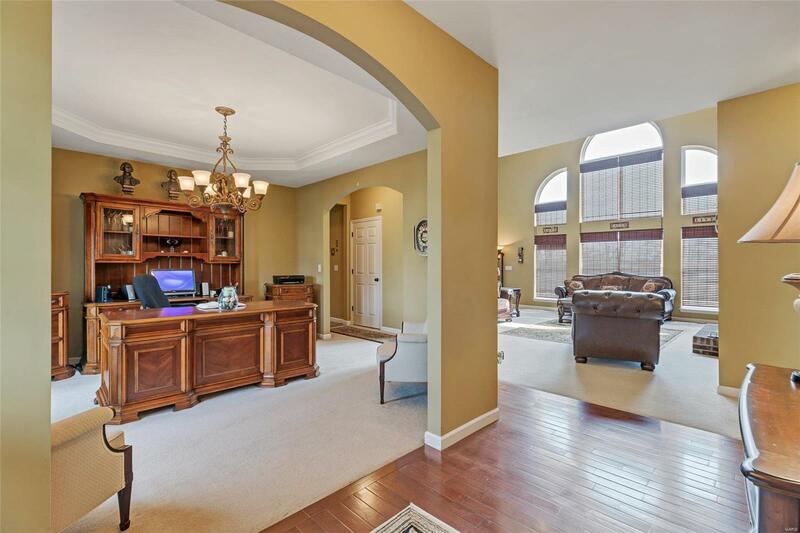 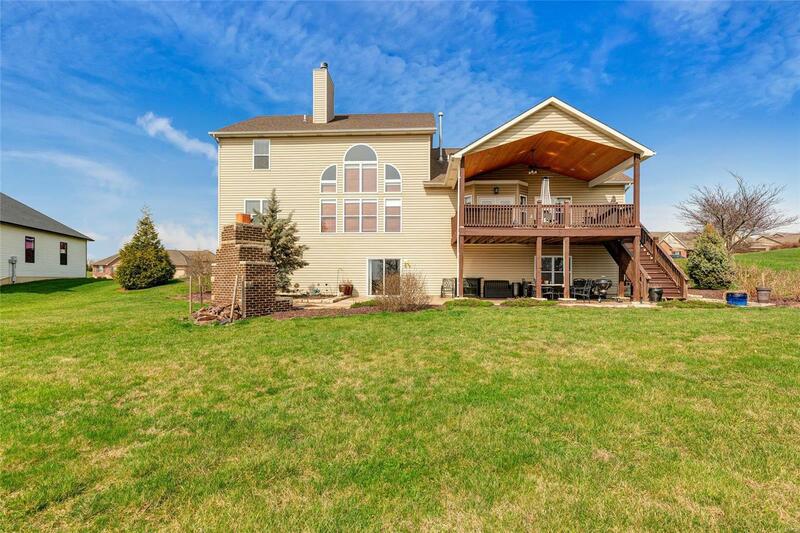 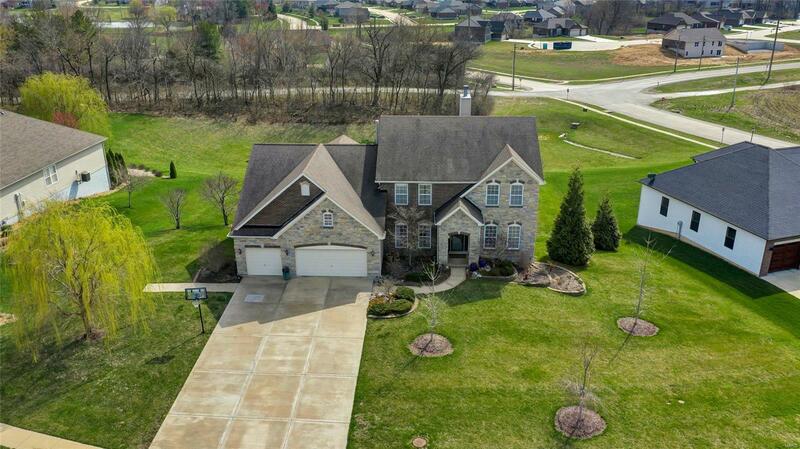 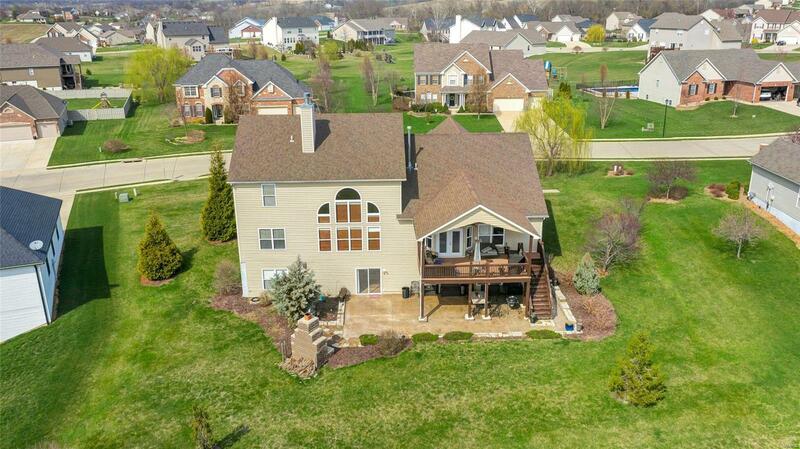 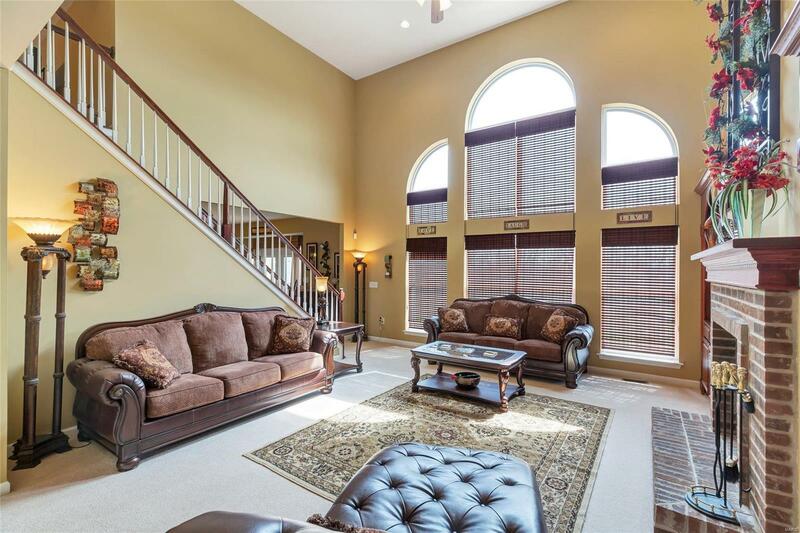 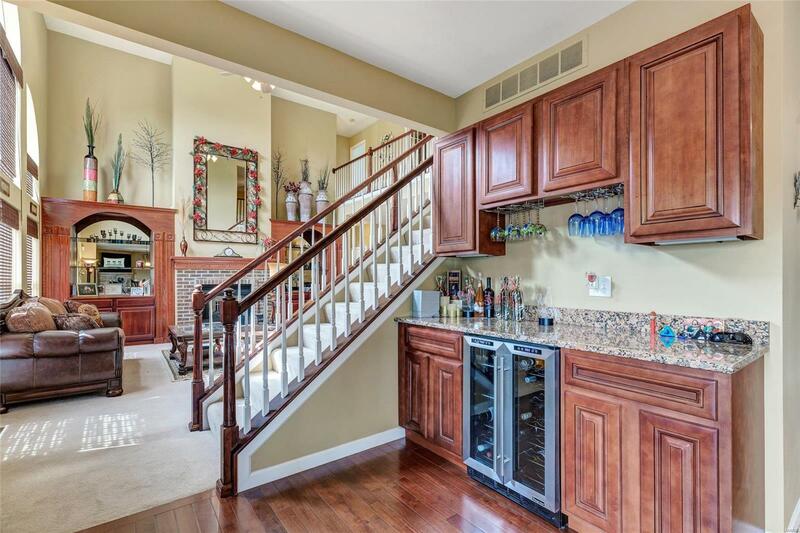 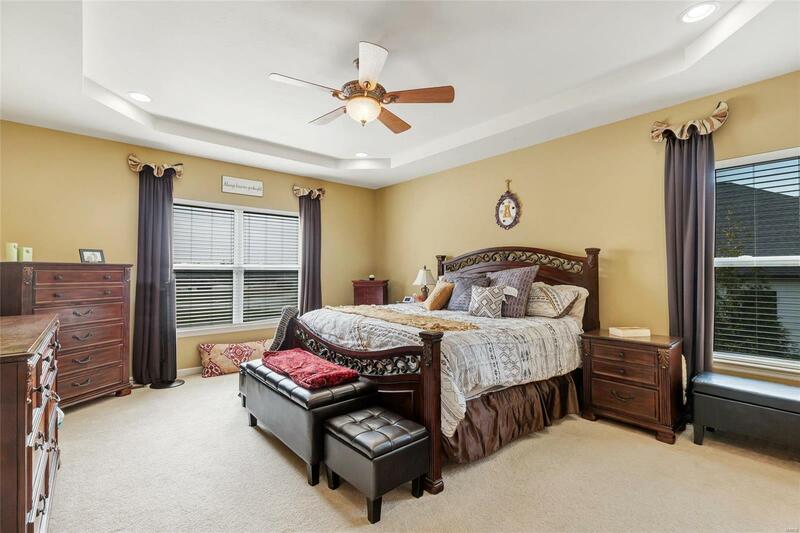 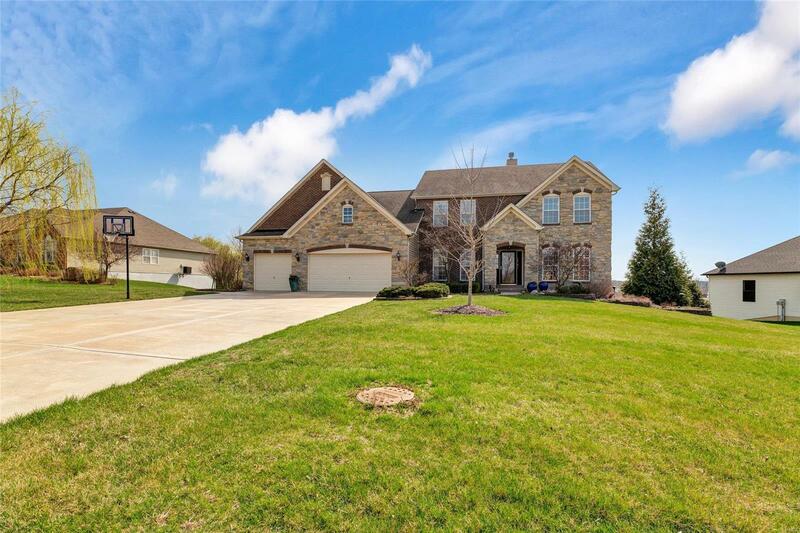 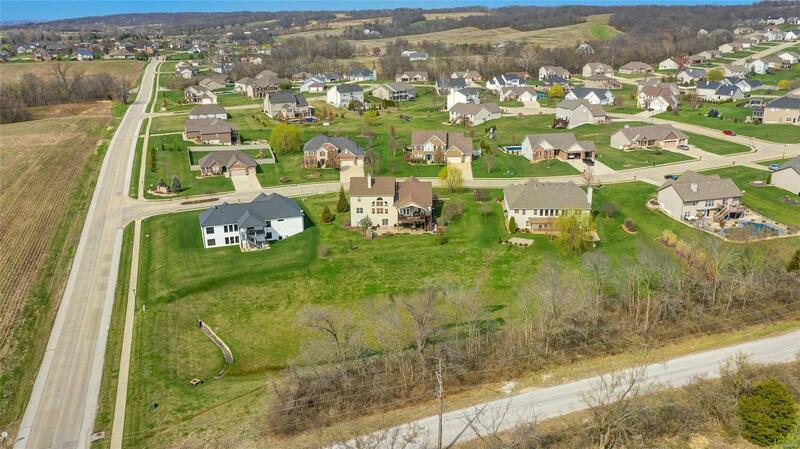 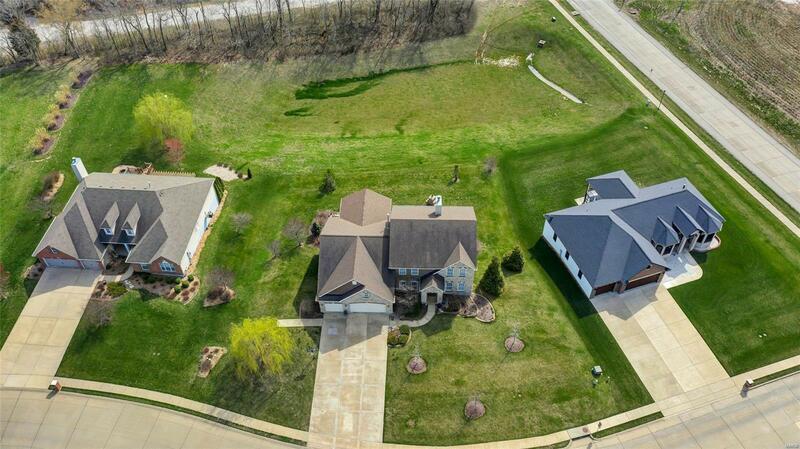 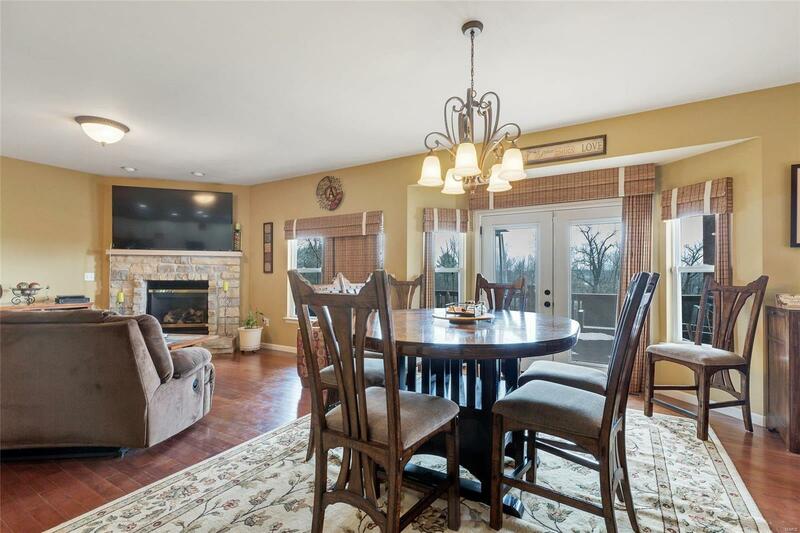 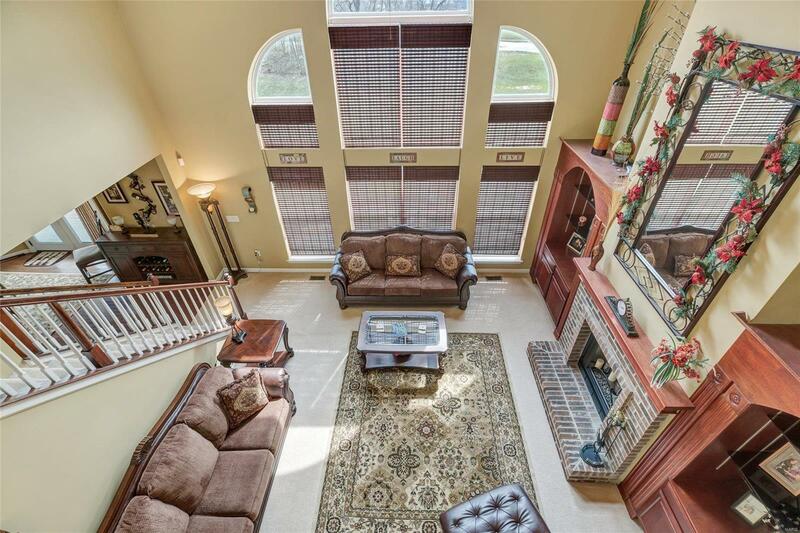 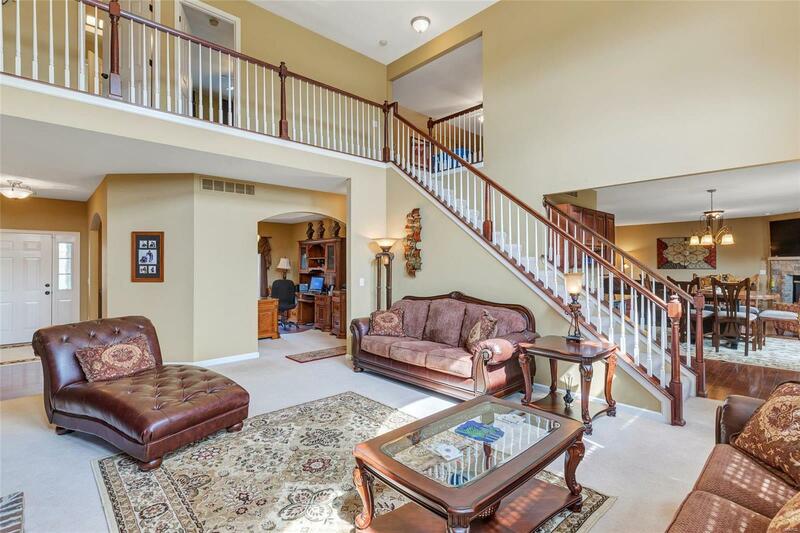 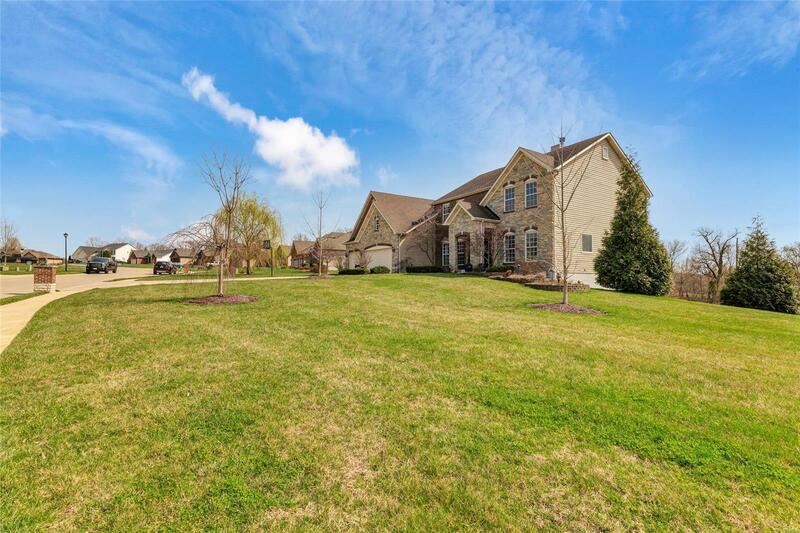 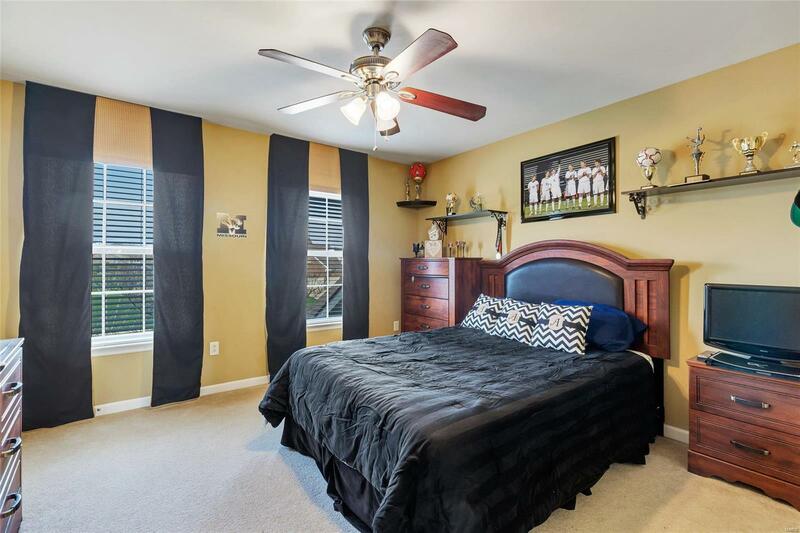 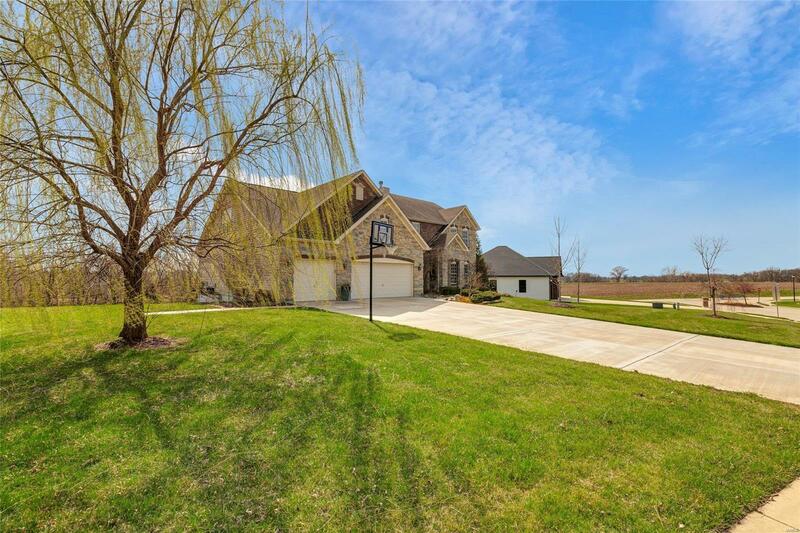 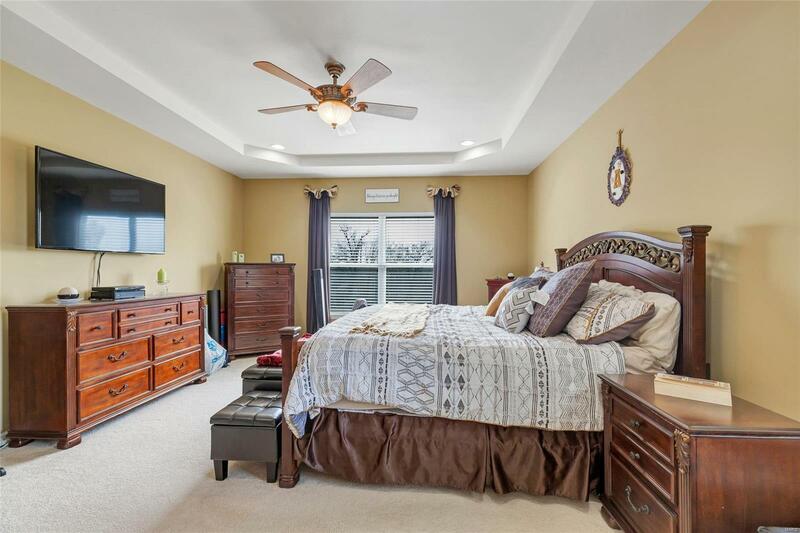 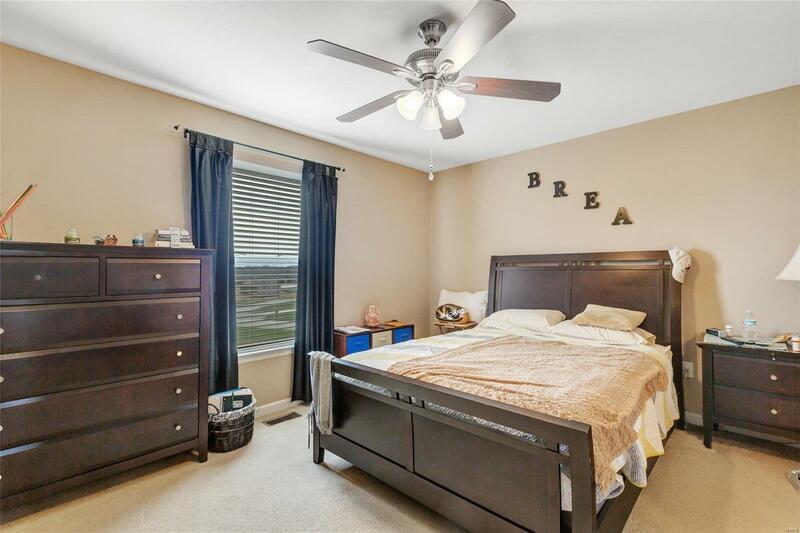 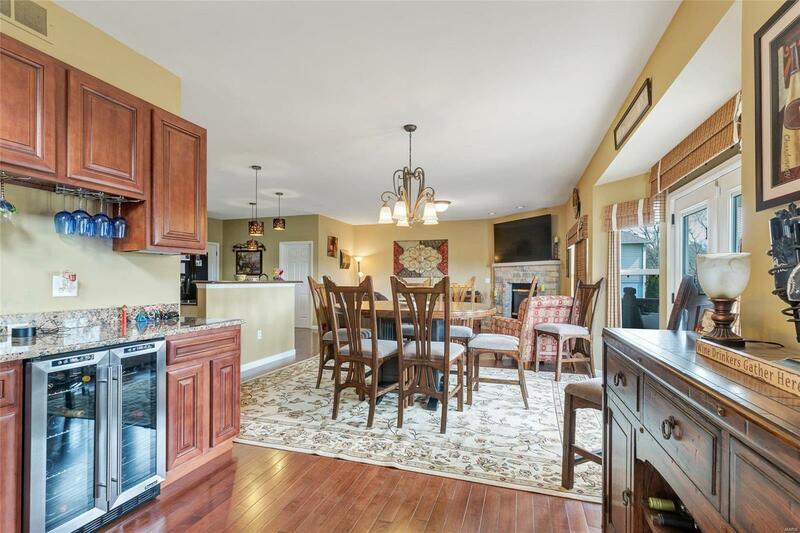 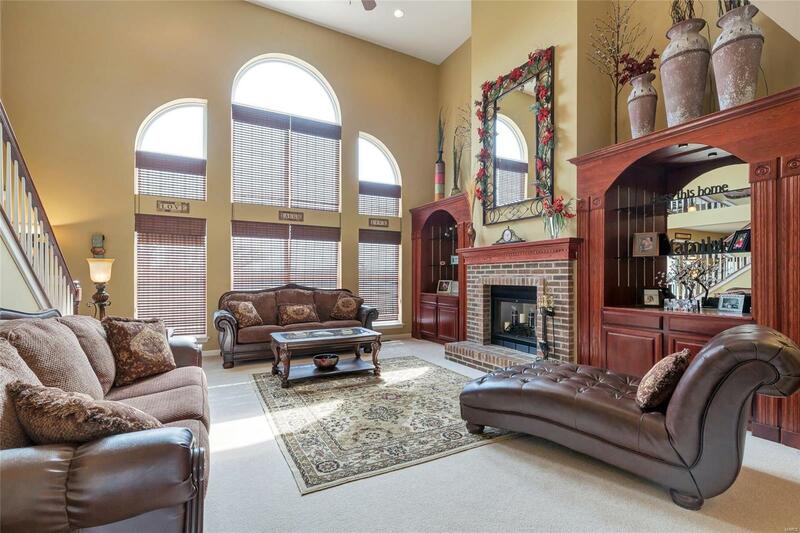 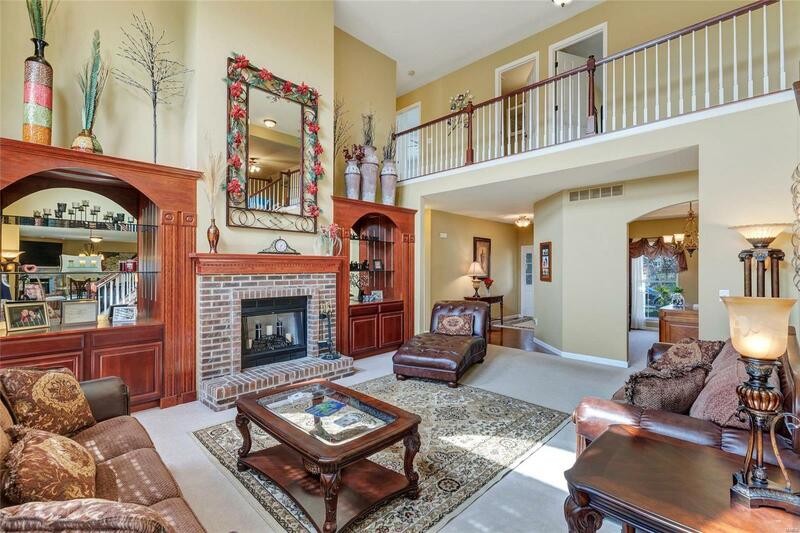 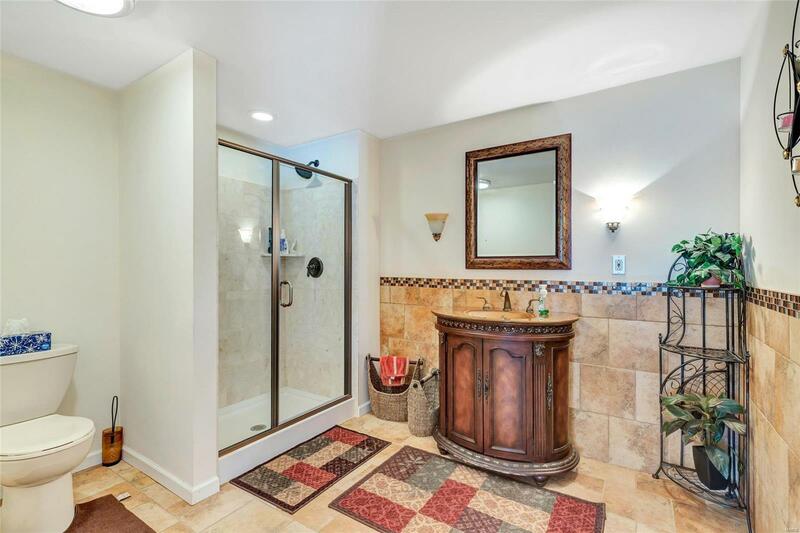 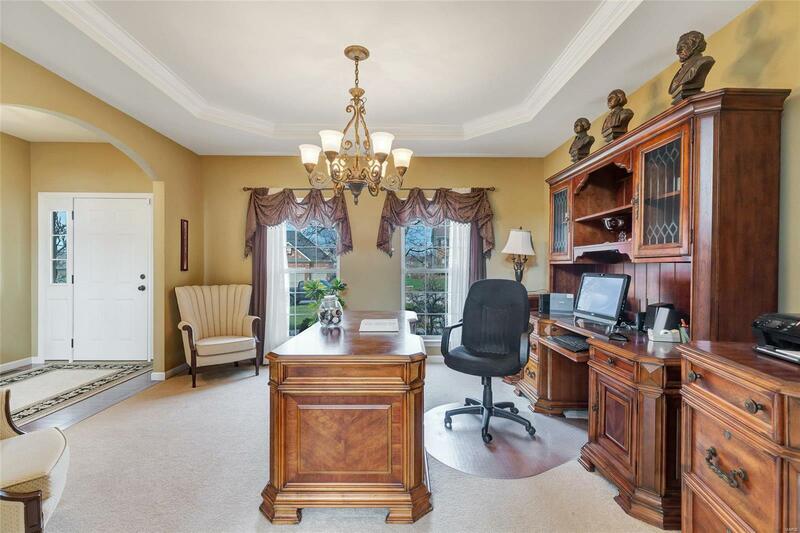 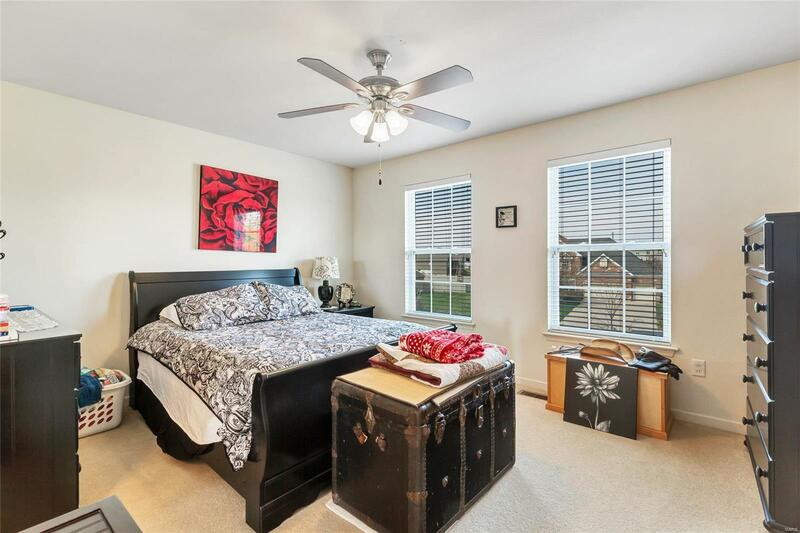 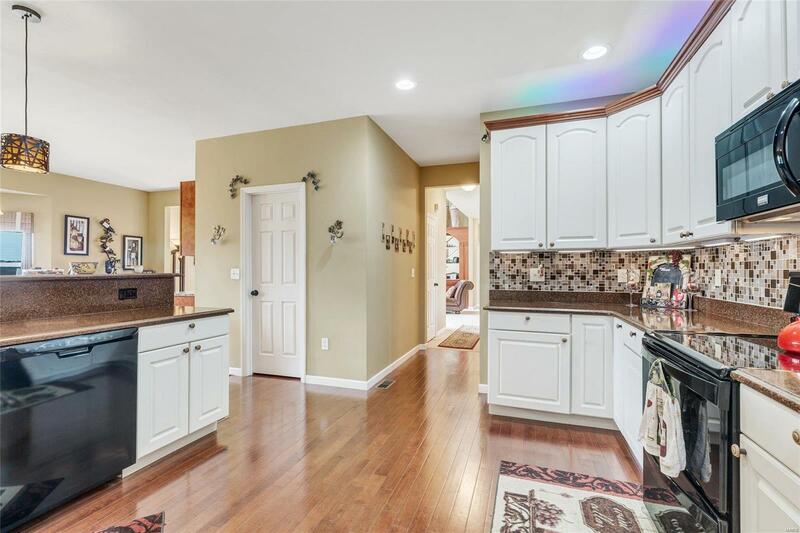 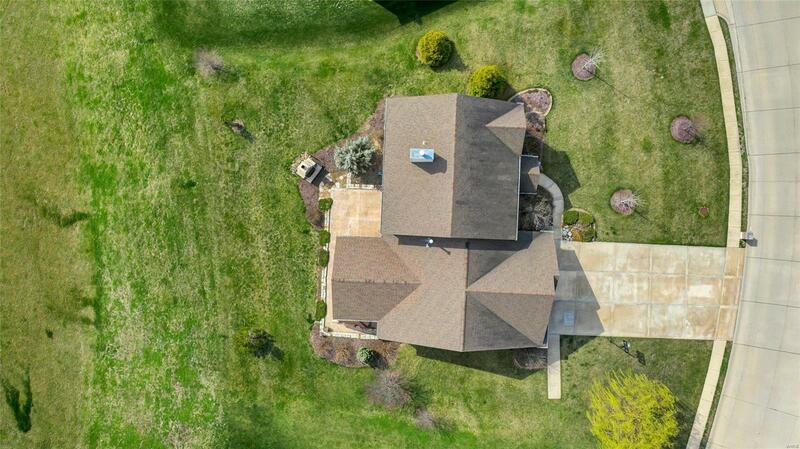 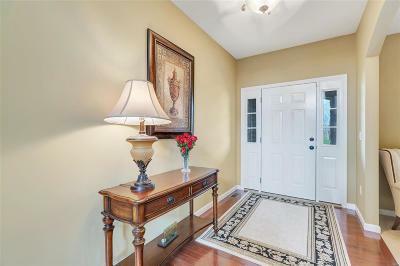 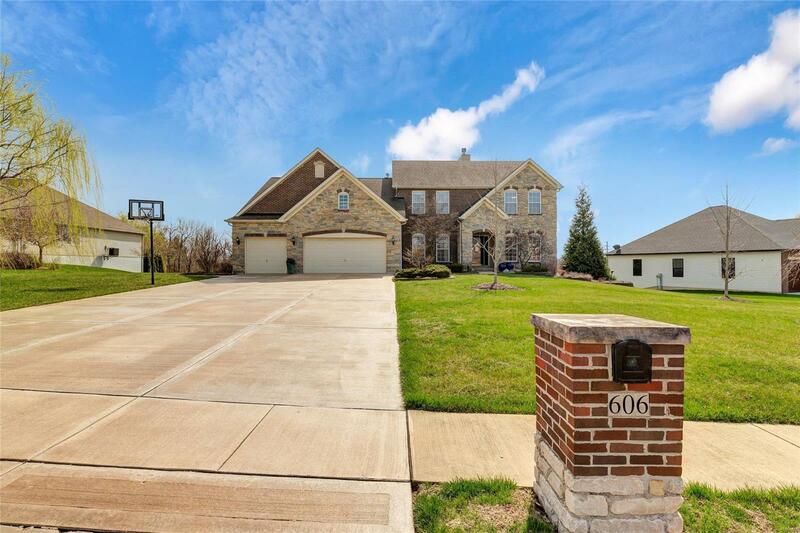 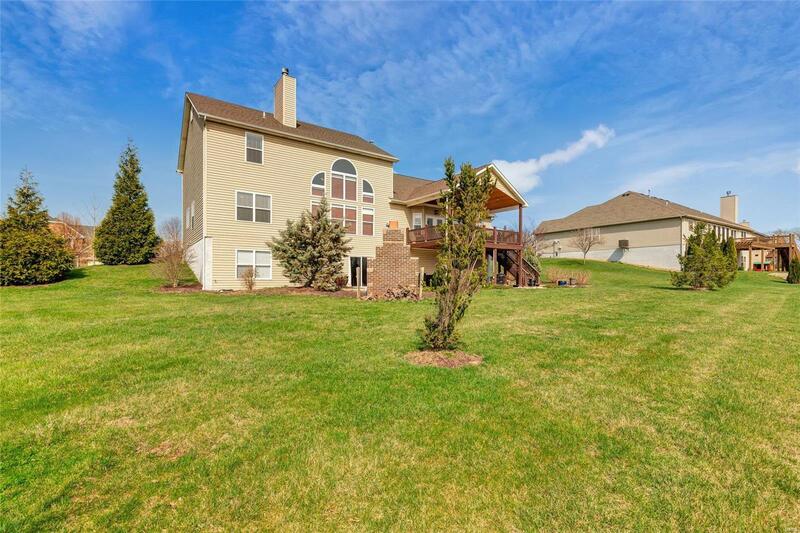 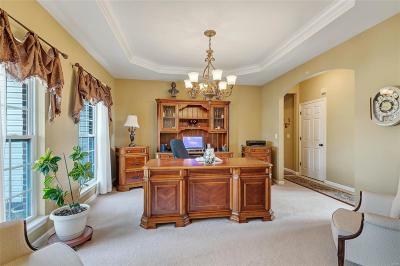 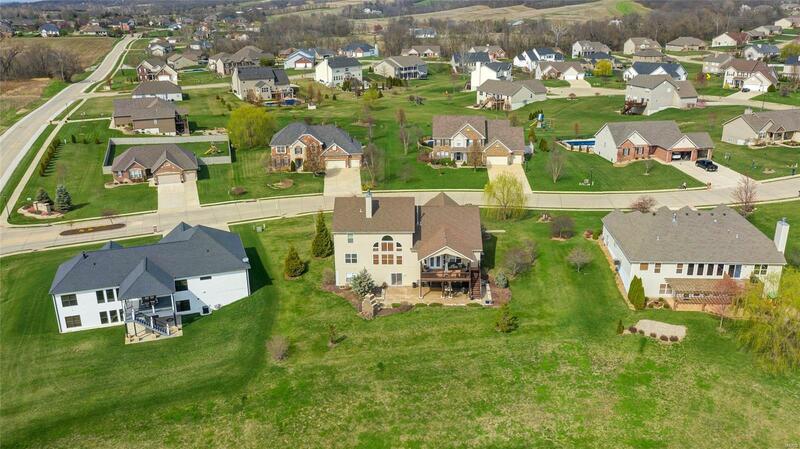 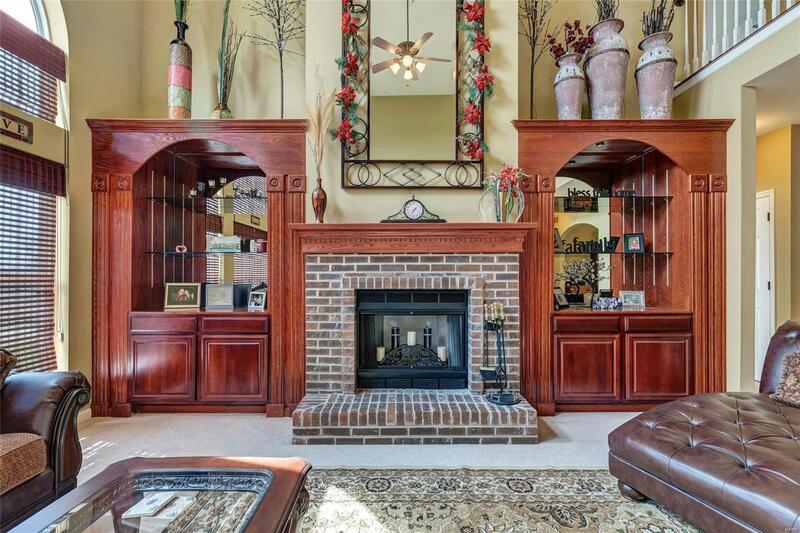 Masterfully crafted 6 bedroom Columbia home with upgrades throughout. 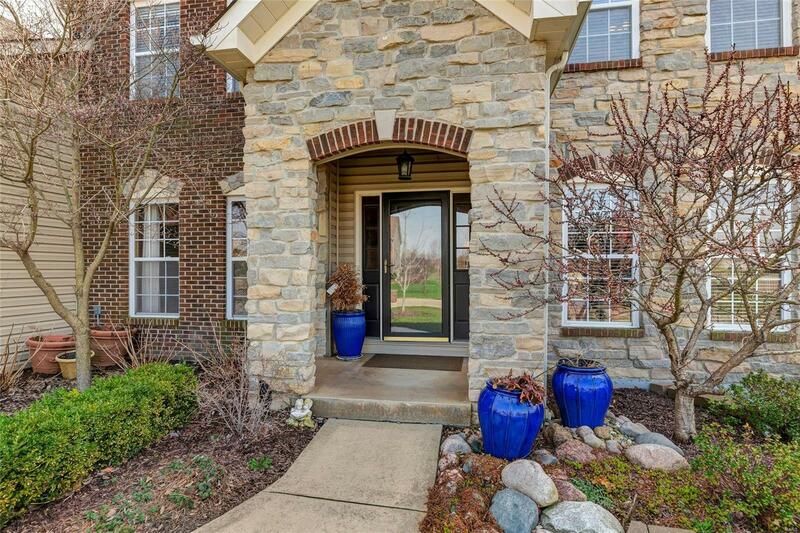 This stunning home makes a great first impression with the beautiful stone/brick combo exterior & extensive landscaping. 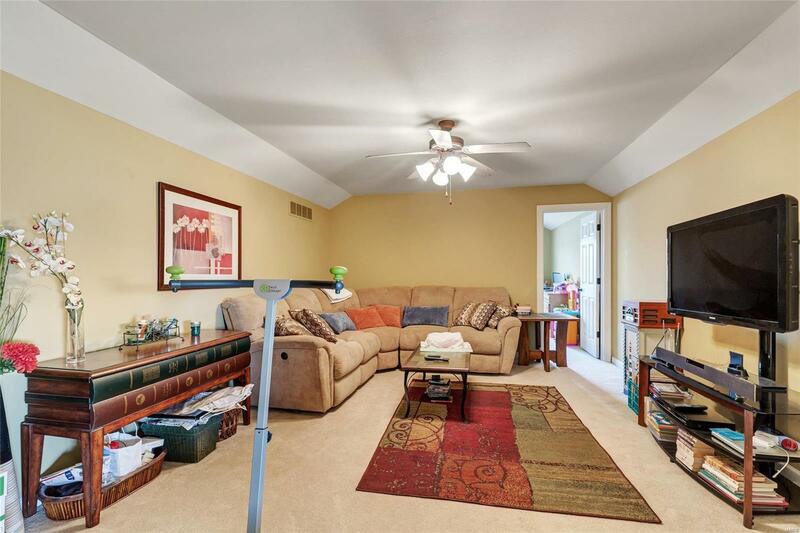 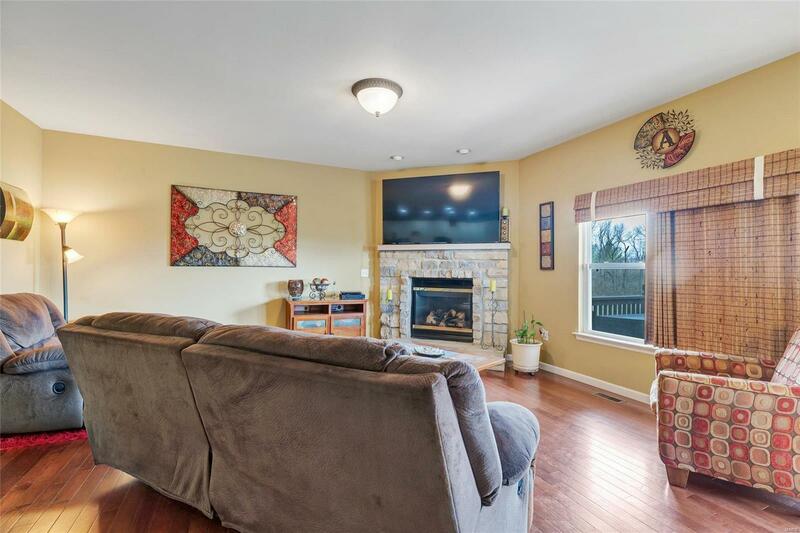 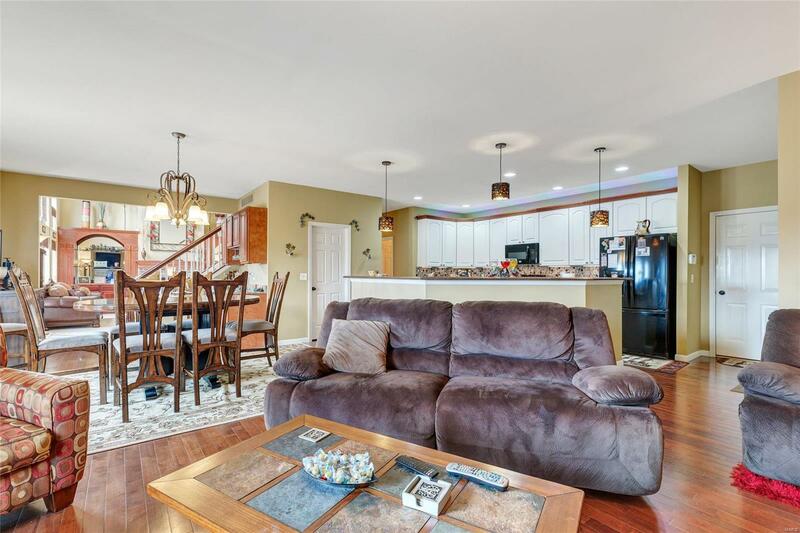 Step inside to find a spacious dining area on your left w/ coffered ceilings, & the living room straight ahead featuring a brick fireplace flanked by built in cherry cabinets, cathedral ceiling & large windows offering great natural light. 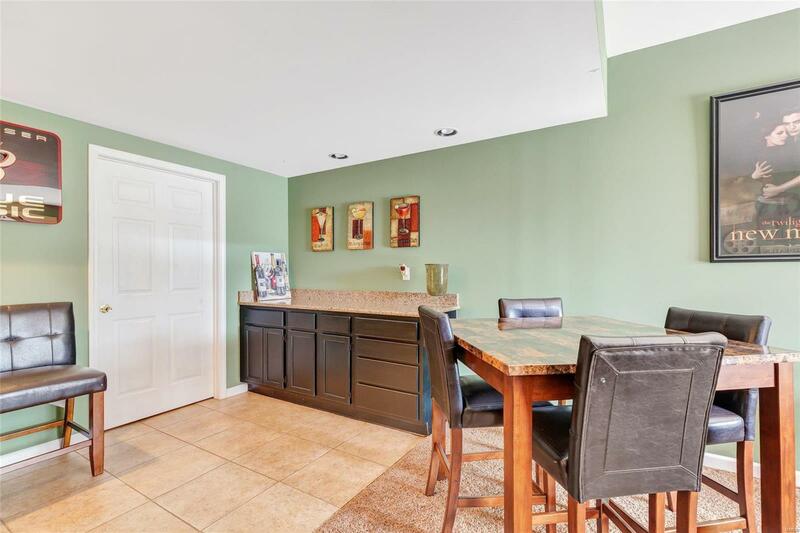 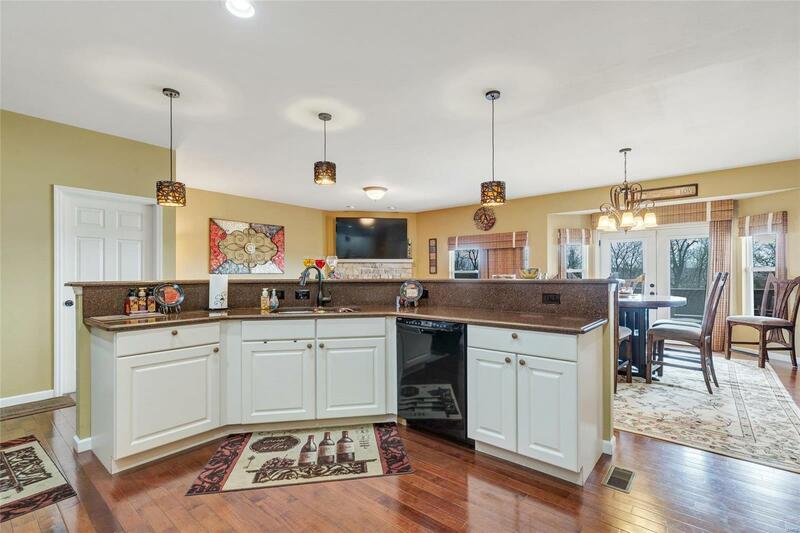 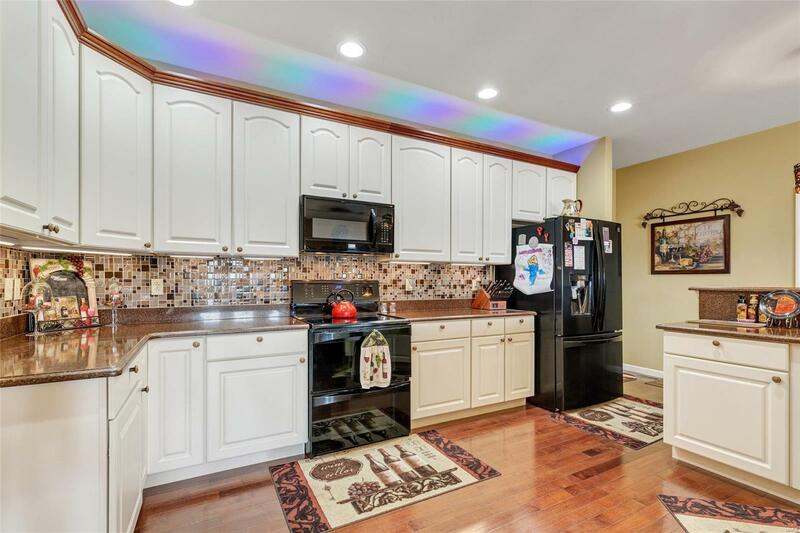 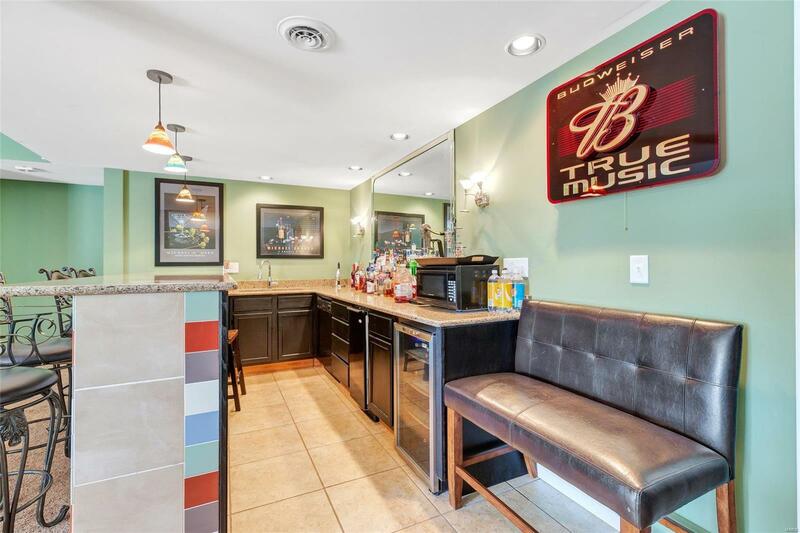 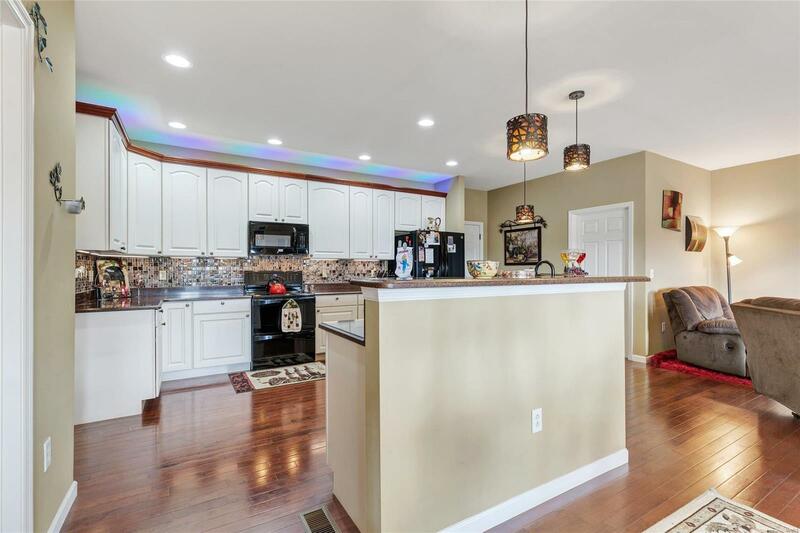 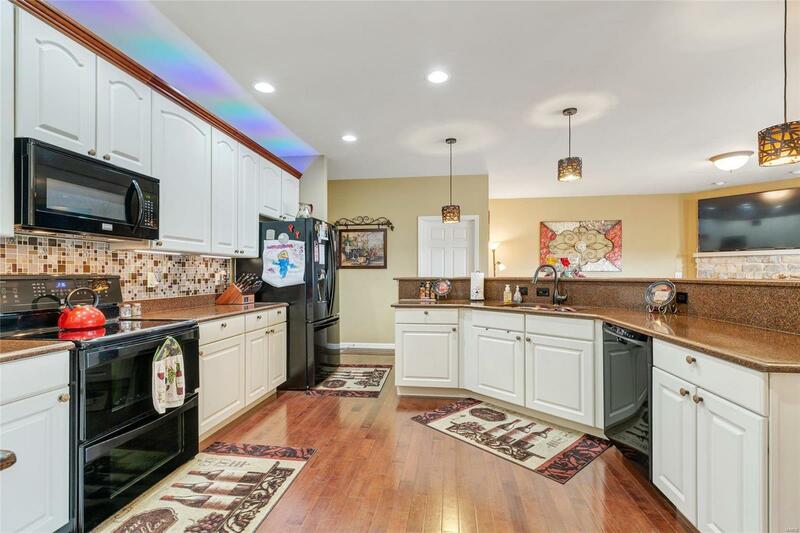 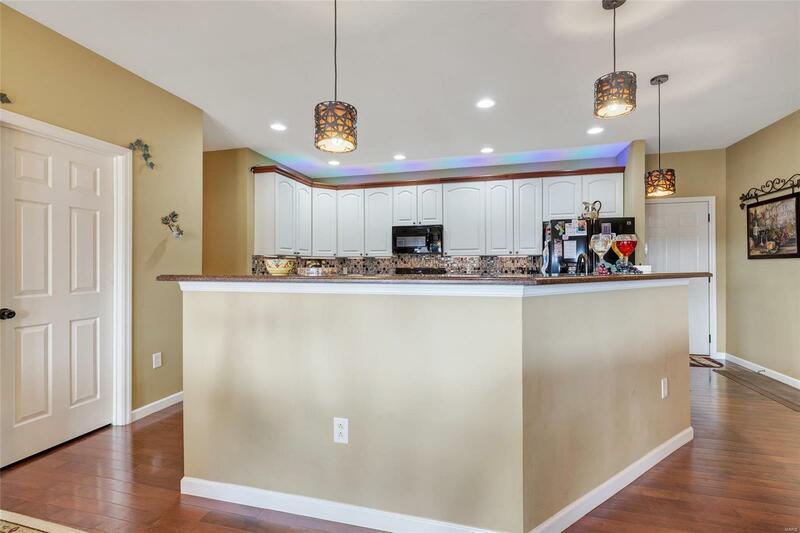 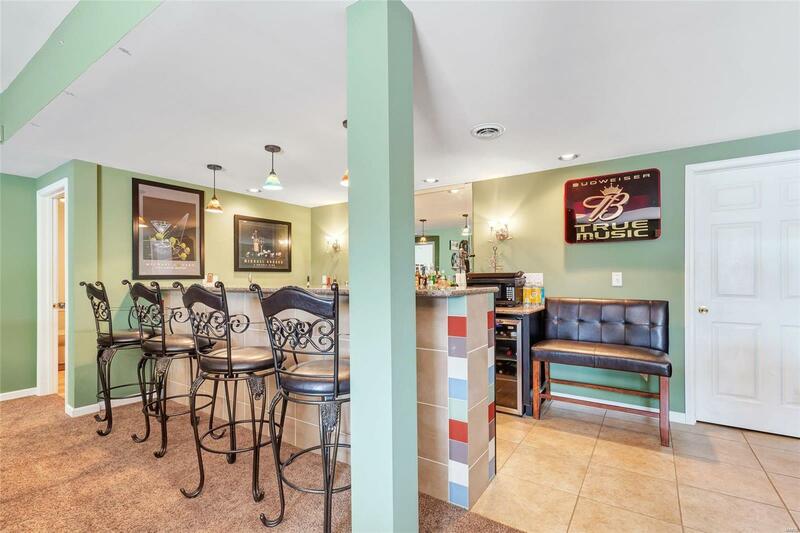 The gourmet kitchen boasts 42" cabinets w/ crown molding, granite counters, hardwood floors, breakfast bar, & pantry, not to mention, hearth room & dining area w/ bar & wine cooler. 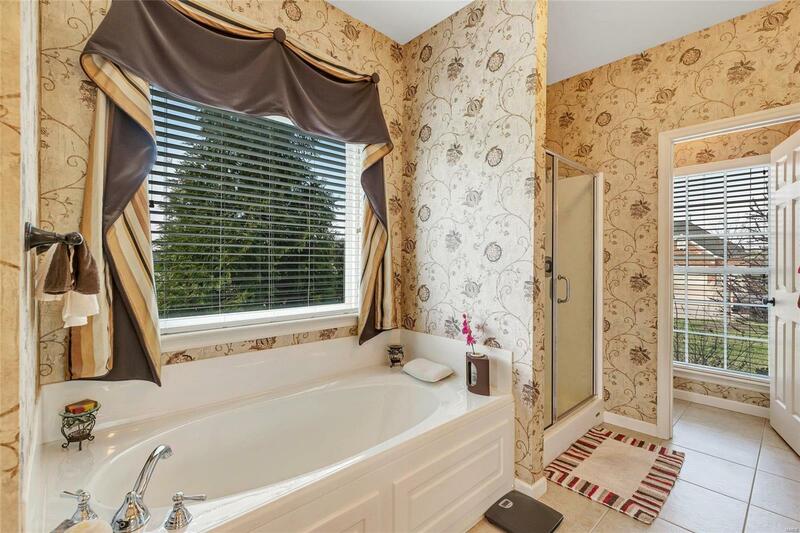 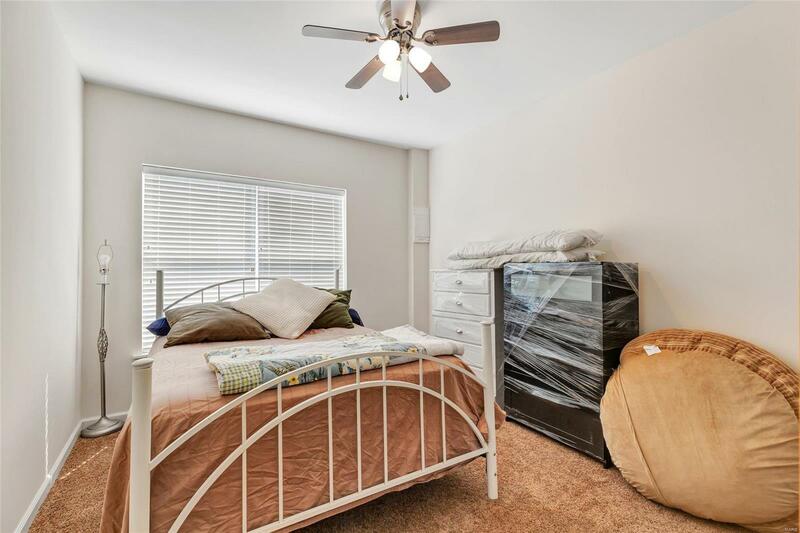 The main floor master suite features tray ceiling & attached bath w/ dual vanity, tub & separate shower. 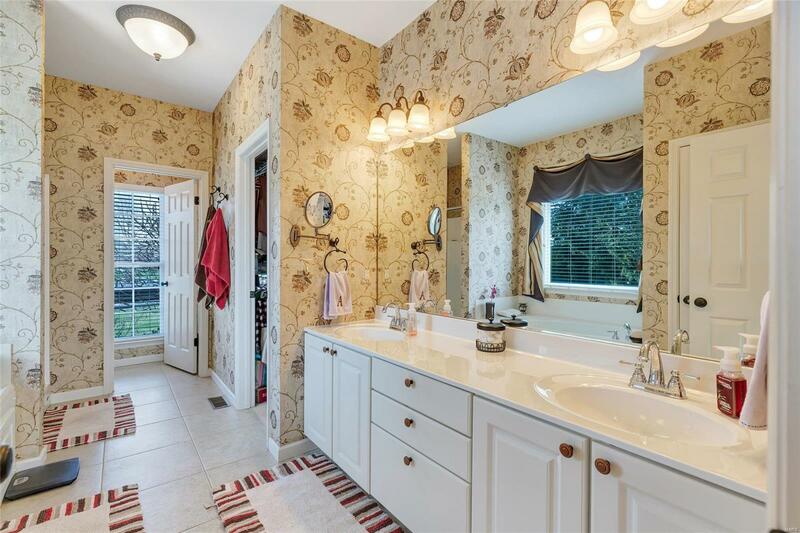 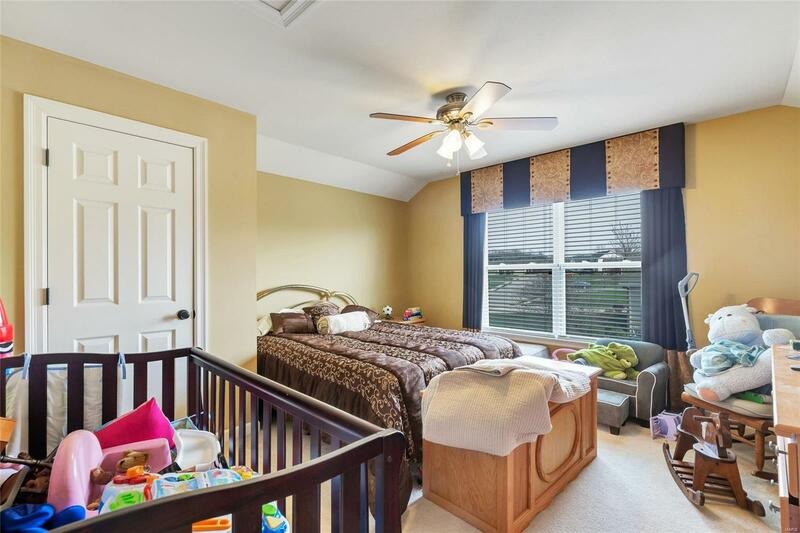 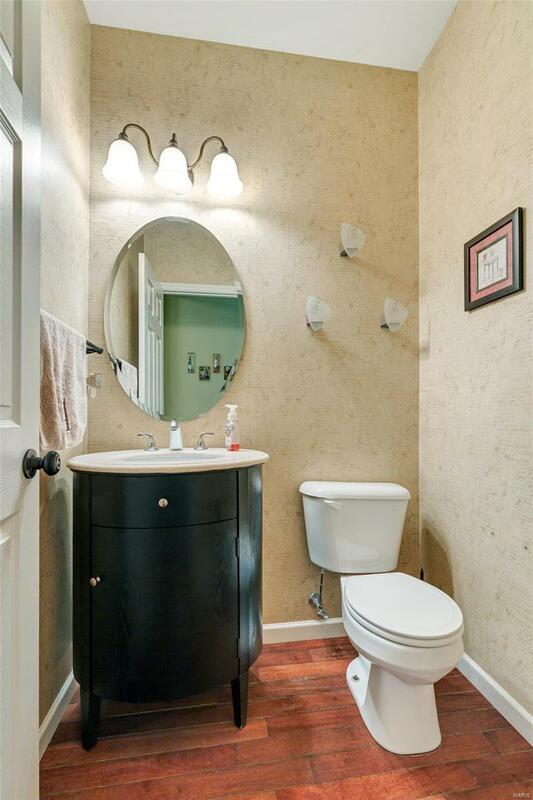 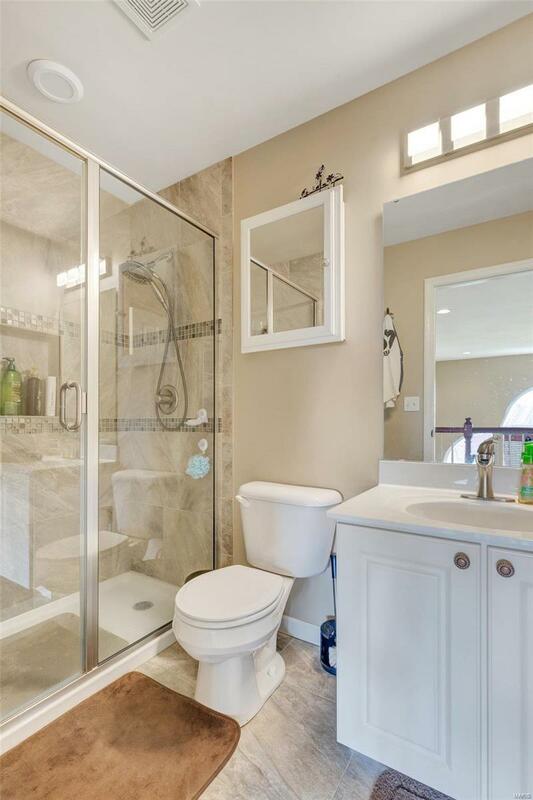 Step upstairs to find generously sized bedrooms 2-5, sitting room, hall bathroom & Jack & Jill bath. 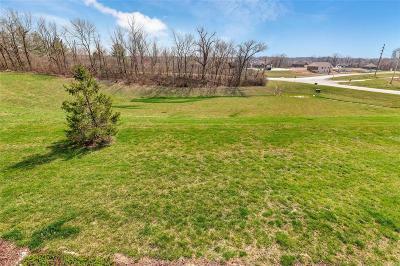 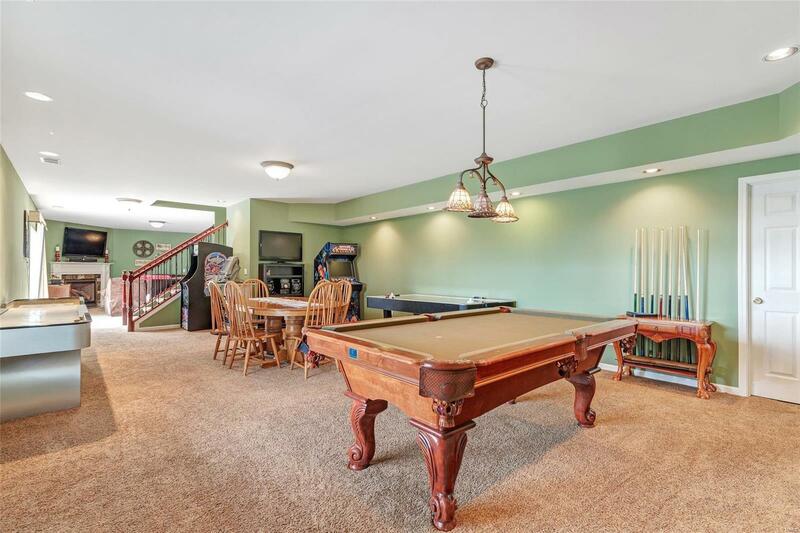 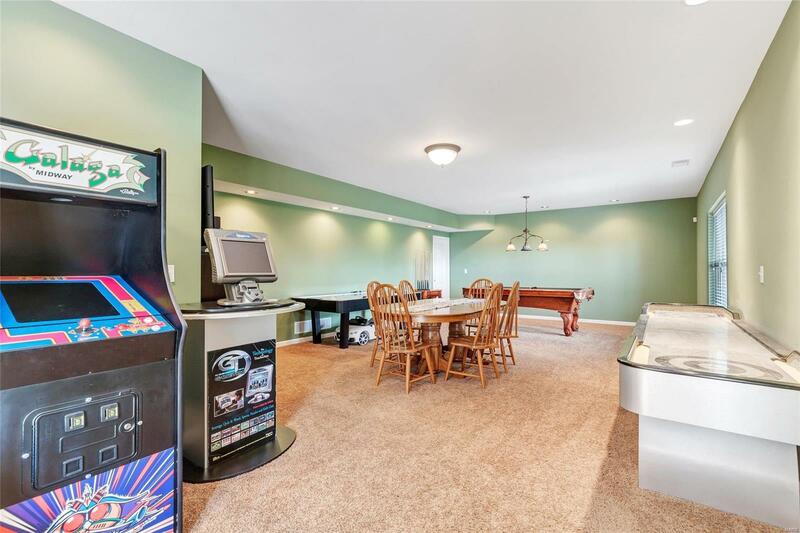 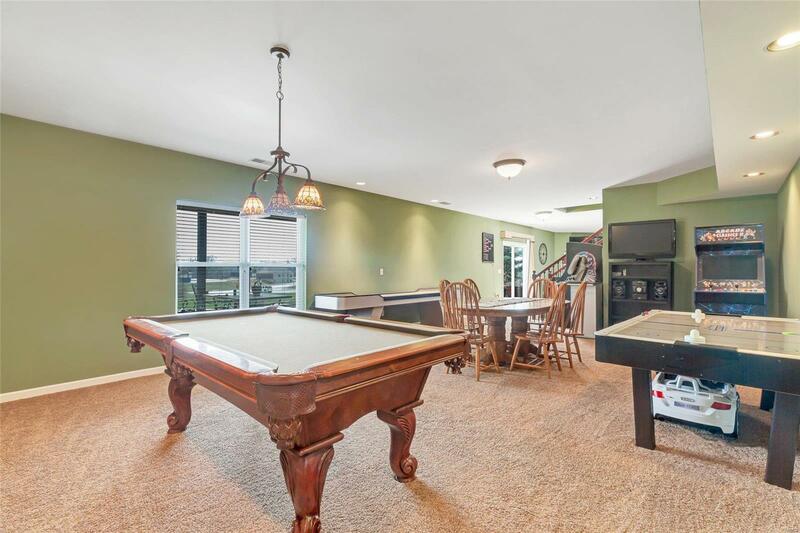 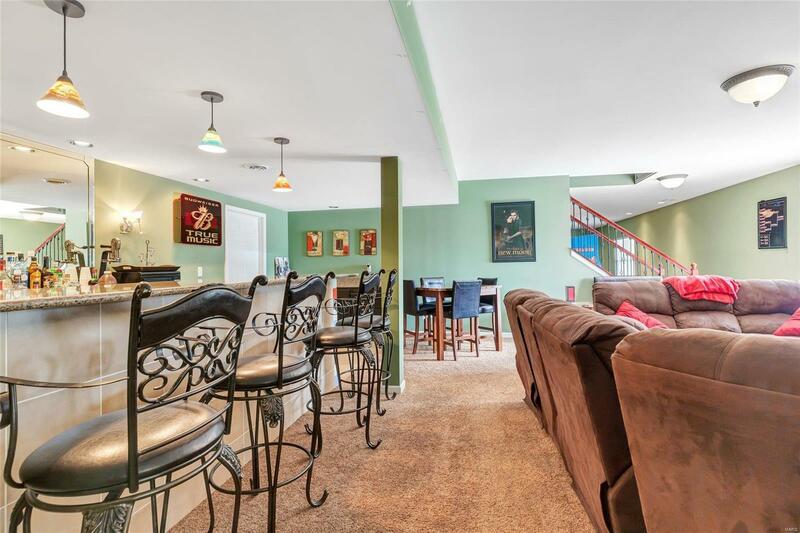 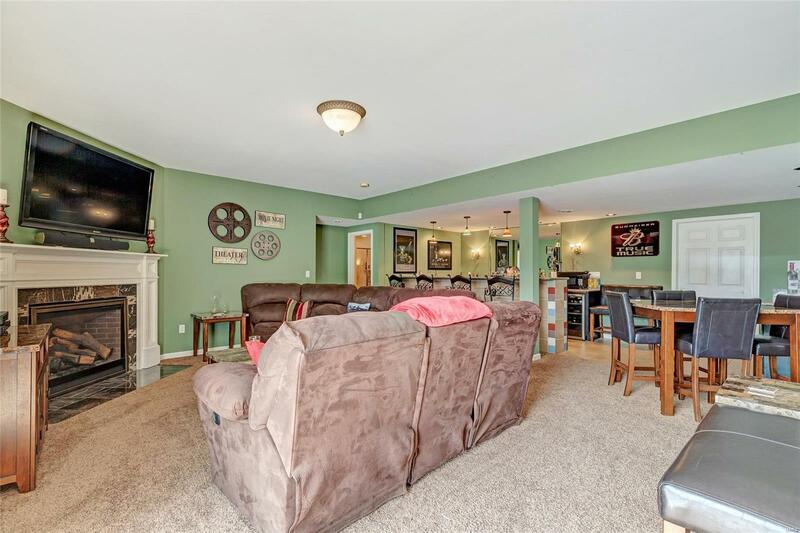 The finished, walk out basement is sure to impress with a spacious family room/Rec area w/ bar, 5th bedroom & bathroom. 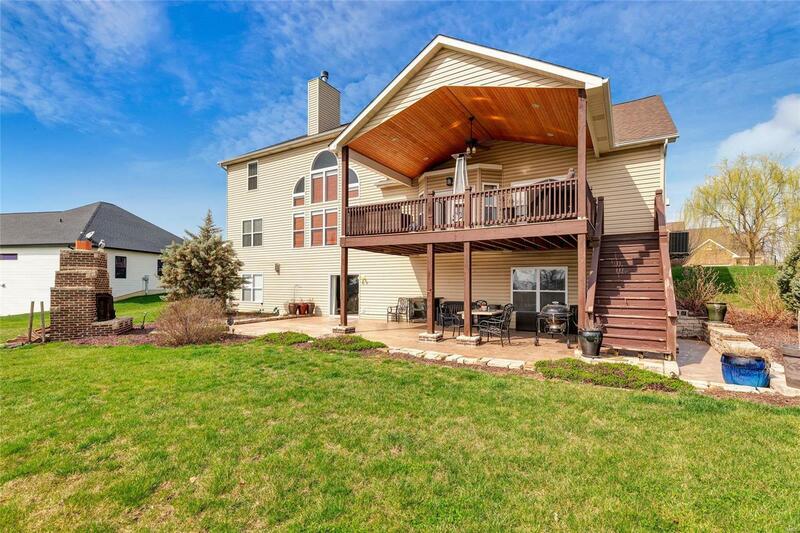 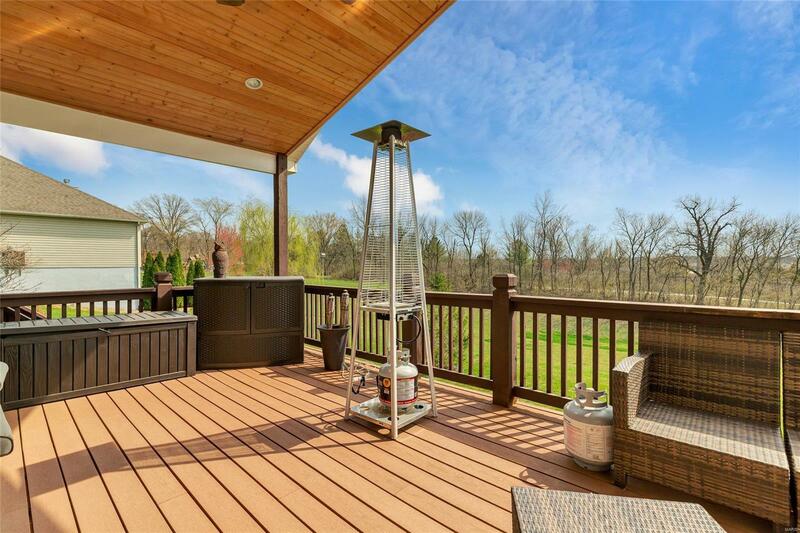 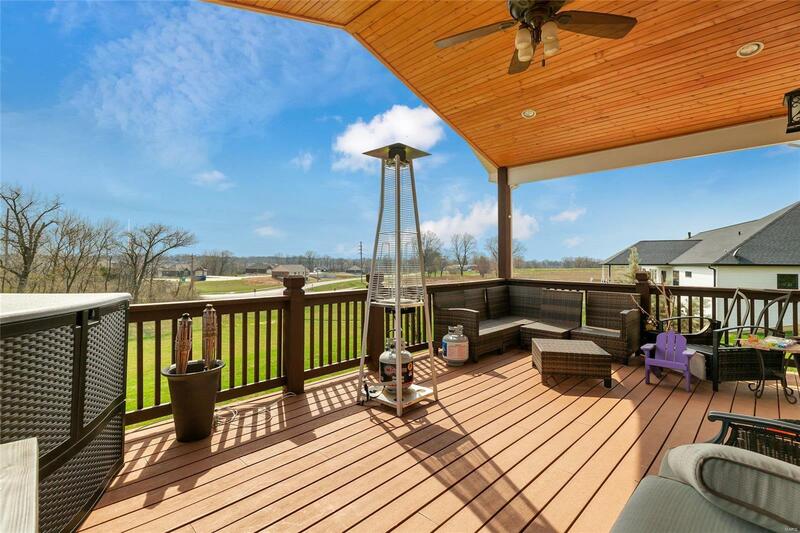 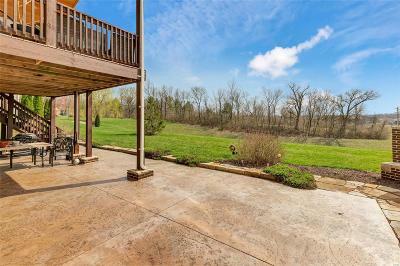 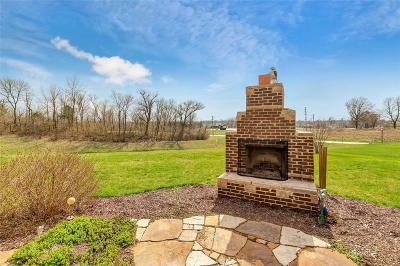 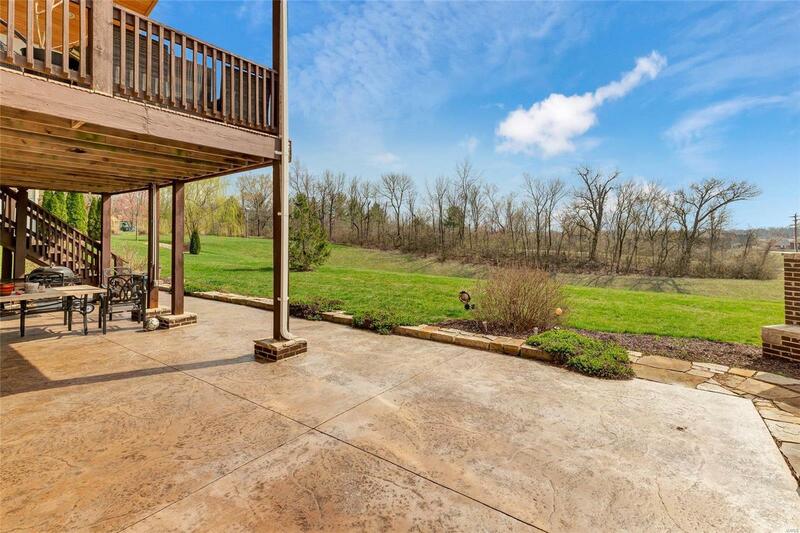 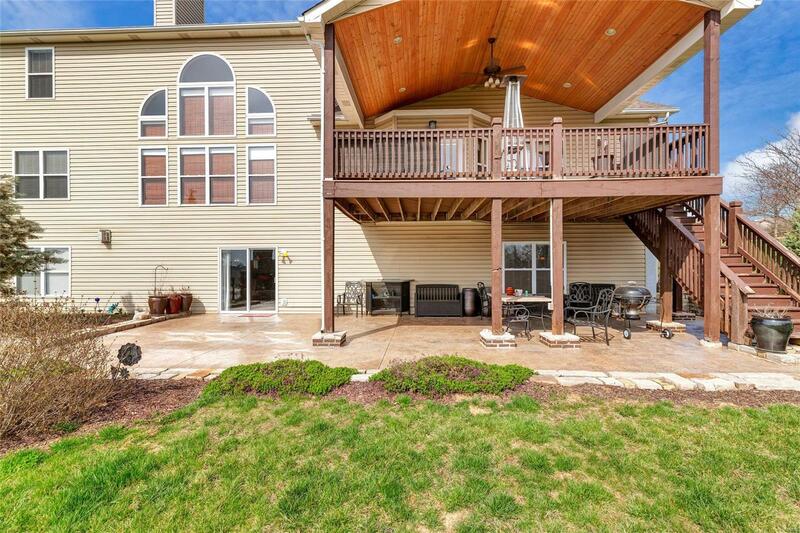 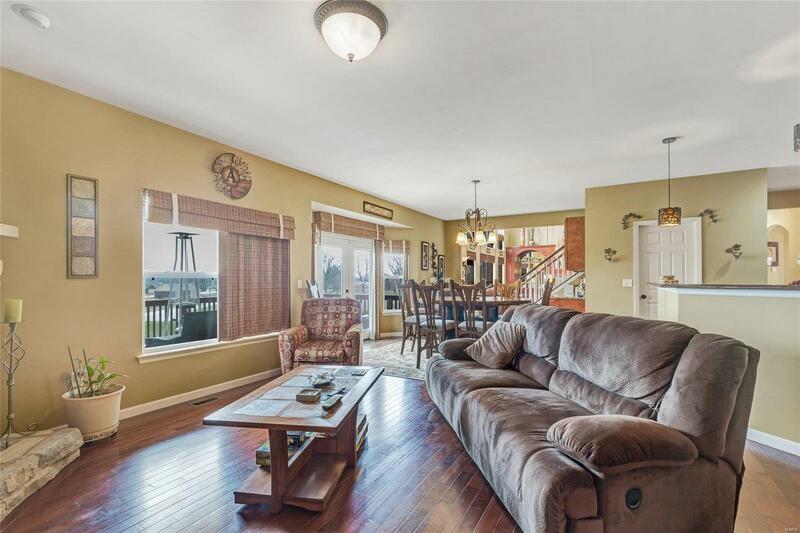 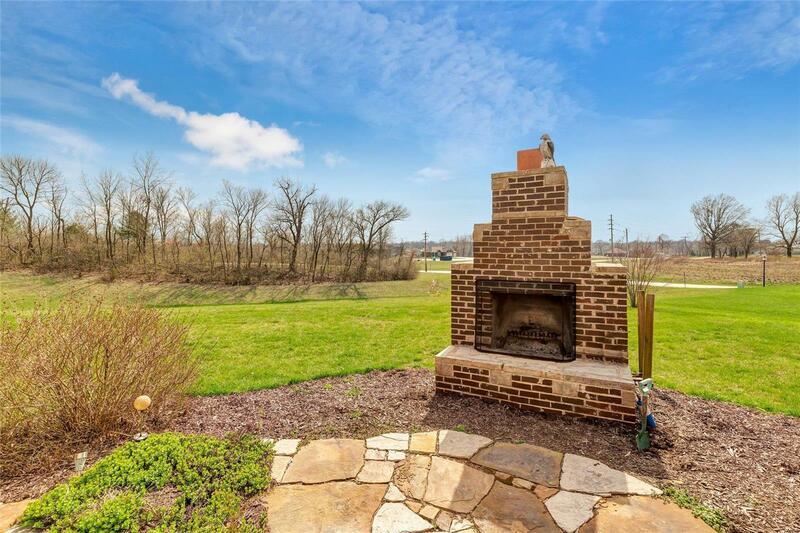 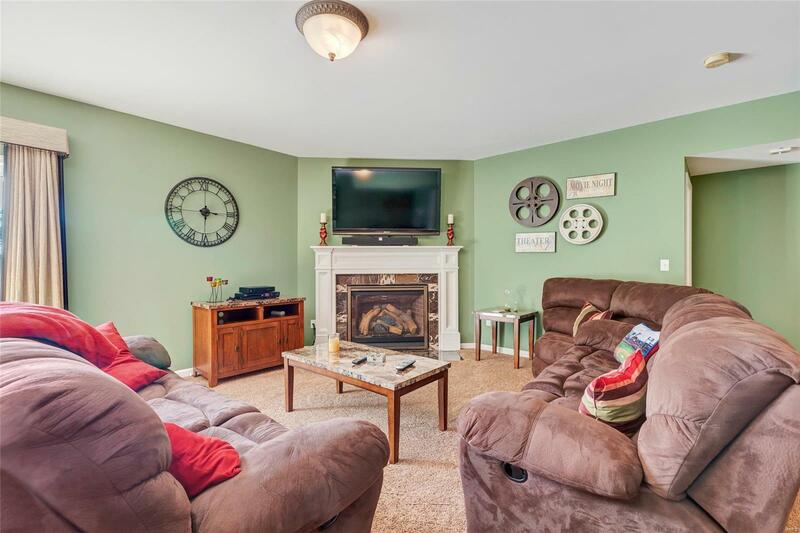 Also noteworthy are the expansive deck & patio w/ fireplace.